In a recent interview, British artist Tracey Emin said that she had been sexually assaulted by a well-known woman artist, though she did not name her alleged attacker. Emin was speaking to Goss on the occasion of the upcoming MTV Re:Define, charity auction in Dallas, where she is this year’s honoree. The annual auction raises money to fight the spread of HIV, which was co-founded by the Goss-Michael Foundation and the MTV Staying Alive Foundation. 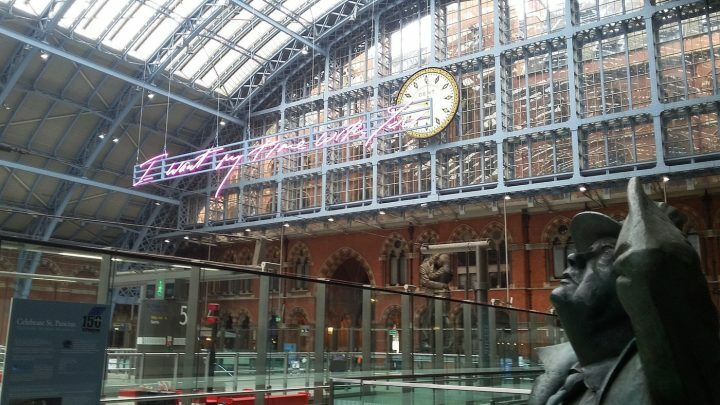 In the subsequent Radio 4 interview — on the occasion of the unveiling of her new, 65-foot-long, anti-Brexit neon work in London’s St. Pancras train station, “I Want My Time With You” (2018) — Emin elaborated on the aftermath of the alleged sexual assault. “I pushed them away and I actually picked up my fist and I was gonna punch them,” Emin said. “It caused such a scene and I shouted and told everybody what the person had done, much to their humiliation and embarrassment. I don’t think they’ll be doing it again in a hurry.” She did not offer any further details about when or where the alleged attack had occurred, though Emin did note that she was not famous yet while her attacker was quite successful. Emin, who was one of the core members of the Young British Artists (YBAs) in the 1990s, caused a sensation with her installation “My Bed” (1998), which was included in the 1999 Turner Prize exhibition (though that year’s prize ultimately went to Steve McQueen). In 2014, “My Bed” sold at Christie’s in London for $4.3 million, setting an auction record for Emin and establishing her as one of the most expensive women artists alive. Although, as she puts it in her conversation with Goss, if she were a man, her work would be worth “ten times” as much.